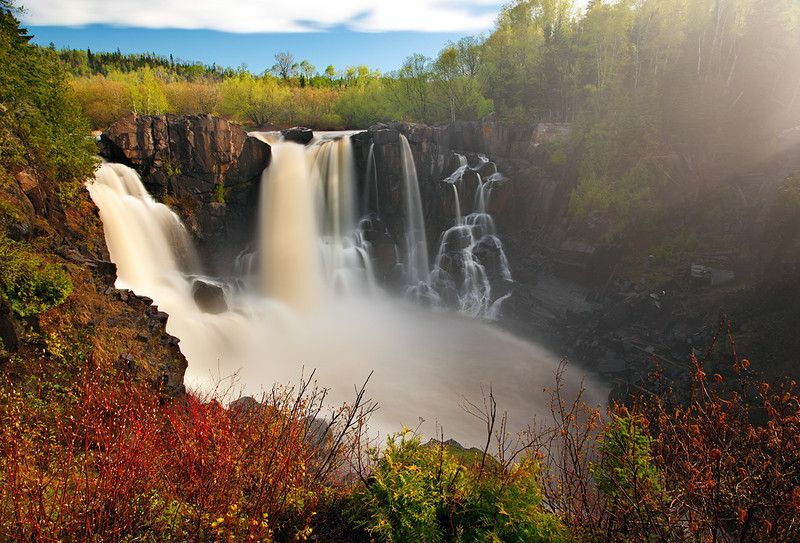 For more than 100 years, the Gunflint Trail region has been a favorite place to unwind, explore, and just soak up the unparalleled natural beauty of the region. The Boundary Waters Canoe Area contains 1,090,000 acres in the Superior National Forest in NE Minnesota, extending almost 200 miles along the border of the U.S. and Canada. It has been largely protected from an influx of too much industry and machines, in part by the BWCA Wilderness Act created in 1978. Carved out by glaciers, the region has ample lakes and streams, beaches, rock formations, Boreal forests, and diverse fishing and wildlife. Whether you visit to hike, canoe or just relax, nature watching is part of any Clearwater experience. 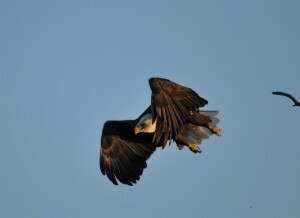 This page offers a bit more detail about the natural environment and wildlife of the region that you can enjoy, as well as additional resources for exploring further. 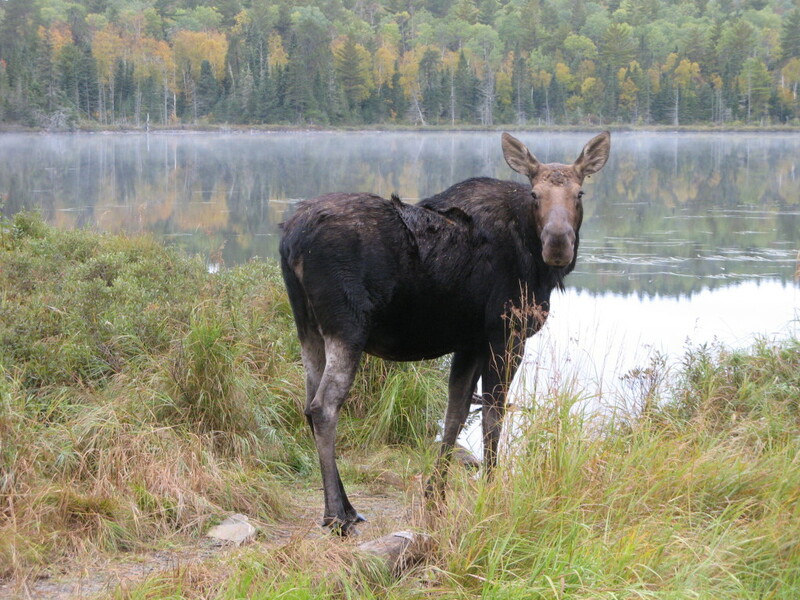 The North American moose is a common sight at Clearwater Historic Lodge and throughout the BWCA. They can weigh more than 1,100 pounds and are found wading through wetlands where they forage for their favorite greens. 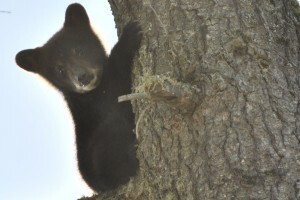 Other animals common to the region include the timber wolf, coyote, otters and beavers, fox, eagles, and black bear. 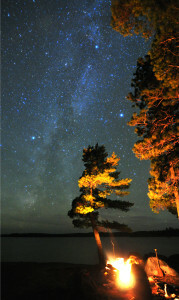 Truly dark skies are becoming very rare, but thanks to an absence of street lights, towers, and other light sources on the Gunflint Trail, our skies offer spectacular opportunities to witness the expansive, starry universe even without magnification. Our northern latitude means we are also privileged to witness periodic ethereal aurora borealis displays, as well. Our Boreal forests are shaped regularly by wind and fire. Photographer Layne Kennedy talks about how he’s witnessed these forces enhance our ability to experience the region over the last twenty years.